Heat the oil in a large soup pot and cook onions on low-medium heat until translucent and soft. Add garlic, herbs, bacon and celery and cook until the mixture starts to turn golden. Add tomatoes and simmer on low heat for 15 minutes. Add the stock and bring to the boil. Add beans towards the end of this step so they heat through. Divide the cooked spaghetti between each bowl then ladle over soup and top with grated parmesan. Note: The leftovers are almost better than the fresh soup. Be sure to freeze a few portions in airtight containers for busy days. Post GDM-suggestion: Slice a chorizo into thick coins and add at the last step when you are bringing soup to boil. Your photos make me salivate but this one sent me to the shop with a list of ingredients! Really yummy, easy and comforting for this winterd day. Thanks Katie (that’s really encouraging coming from a real photographer). Everyone check out Katie’s work here. I wonder, is photographing people is harder than food!? I tried this and it is yum, especially with the chorizo!! Well done. Oh chorizo! How I miss thee. Hi Lisa, fab recipes. Admire what you are doing. good luck, Susan. Thanks! More recipes coming in July. needed some ideas for a winter soup, thank you! Have you checked out the rest in the soup category? One of my current favourites is the Cauliflower, leek & fennel soup. lisa. I LOVE the website. you have my mouth watering. I’m not pregnant but i really try to eat healthy and i happen to have tried your ‘tuscan white bean soup’ with my own tastebuds and it is sooooooo yummy. I have already made it at home and my flatties enjoyed every mouthful. Cant wait to try your other receipes! I loved this recipe! I cooked it for a house of 5, plus partners, who all LOVED it and licked every little bit from their bowls. Half of those are vegetarians, and it was really simple adding the bacon (and chorizo) at the end. This recipe is so easy to whip up too! 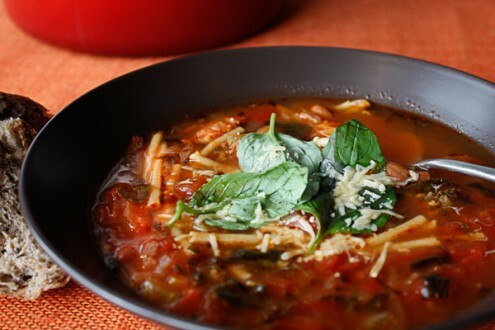 Thank you for warming up our wintery home with the smell of tuscan bean soup! Made this soup for all my holiday guests, and it was a hit! Even my niece (age 6) and my nephew (age 4) gobbled it up! I cooked turkey smoked sausage on the side instead of chorizo so that folks could add it if they liked. This recipe has been added to the “keep” recipe book! Thank you for all the tasty feast options!